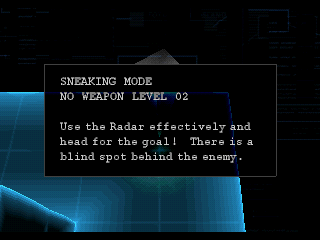 OverviewThis game adds additional training missions and fun for the many Metal Gear Solid fans out there. 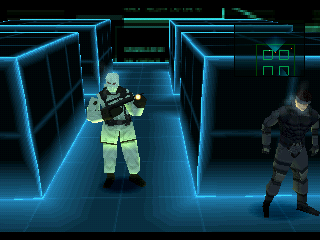 An Expansion Pack for the original Metal Gear Solid. 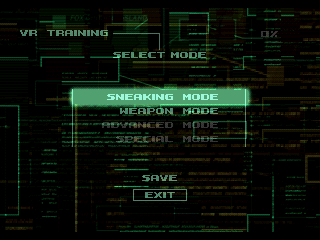 This one may not require the original Metal Gear Solid in order to run, but most people would prefer to play both and/or would have both anyway. It adds 300 VR Training Missions to play in. 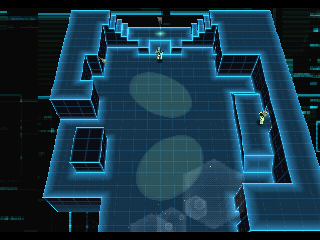 10 VR Training Mission Stages were included in the original Metal Gear Solid, training scenarios made in a Virtual Reality environment made entirely of gridded surfaces void of all aesthetic detail. This expansion game is a really fun, basic, simple gaming experience based on the famous Tactical Espionage Actions of Solid Snake, whether you need something to motivate you to play the original Metal Gear Solid, or you finished Metal Gear Solid and you really want more of it to play. Now you can add videos, screenshots, or other images (cover scans, disc scans, etc.) 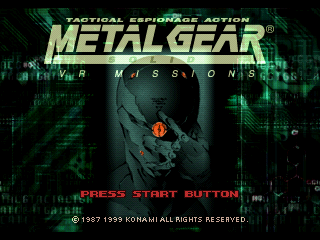 for Metal Gear Solid VR Missions to Emuparadise. Do it now!